MainAll NewsInside IsraelHow religious are Israelis? Figures released ahead of Israel's 69th Independence Day reveal secular Jews a minority, with most identifying as religious or traditional. A majority of Israeli Jews identify as either religious (Orthodox) or traditional (mesorati) with a minority identifying as completely secular or irreligious, a report by the Central Bureau of Statistics shows. 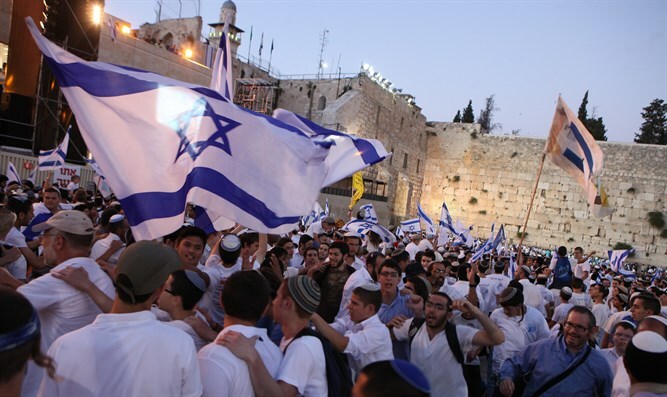 In a report released ahead of Israel’s 69th Independence Day, figures provided by the CBS show that of Israel’s total population of 8.68 million, 74.7% are Jewish, or roughly 6.484 million. Another 20.8% are Arabs, totaling 1.808 million, while 4.5%, or 388,000, did not fall into either category. Of those 6.484 million Jews, the CBS reports that less than half (44%) of them consider themselves secular or non-religious. Nearly one-third of Israeli Jews identify as religious (32%), while the remaining 24% say they are traditional. When broken down further, the religious population includes 9% of the country which identifies as haredi, 11% as religious (dati), and 12% as religious-traditional. American Jewry, by comparison, has been characterized in recent studies, including a Pew Research Center survey, as overwhelmingly secular, with just over10% of America’s nearly six million Jews identifying as Orthodox. According to Pew, 30% of Jews identify with no Jewish denomination or movement, while 53% identify with non-halakhic movements including Reform (35%) and Conservative (18%). However, the report states, Orthodox numbers are rising, while Reform and Conservative are falling steadily. Among non-Jews in Israel, 4% self-identify as extremely religious, 52% as religious, 23% as mildly religious, and 21% as not at all religious.